Sherri Bell is a South Central L.A. native, and graduate of California State University Northridge; where she obtained a Bachelor’s Degree in Communication, Minor in Political Science, and Master’s Degree in Public Administration. for worker justice by ensuring a just day’s pay in every workplace, promote economic justice through robust enforcement of labor laws, protect workers from retaliation, and educating the public on labor laws. 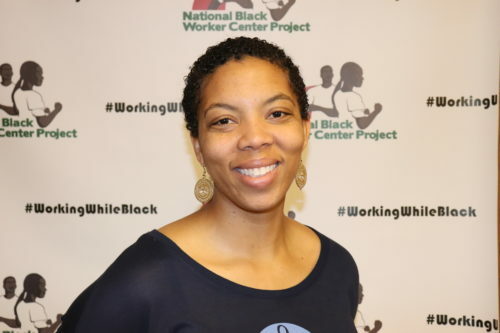 Sherri has worked as a Community Organizer with the Los Angeles Black Worker Center, where she played a key role in passing one of the largest minimum wage policies in the country, as part of the Raise the Wage Coalition. This historic victory resulted in a $15 minimum wage in the city of Los Angeles by 2020, and the creation of a wage enforcement division to enforce laws that prevent and combat wage theft. She has been also instrumental in educating workers in the community on how to file racial discrimination claims and promote racial equity in the workplace by organizing Know your Rights Trainings in partnership with various regulatory agencies such as DFEH (Department of Fair Employment and Housing, EEOC (Equal Opportunity Commission) and OFCCP (Office of Federal Contracts and Compliance). 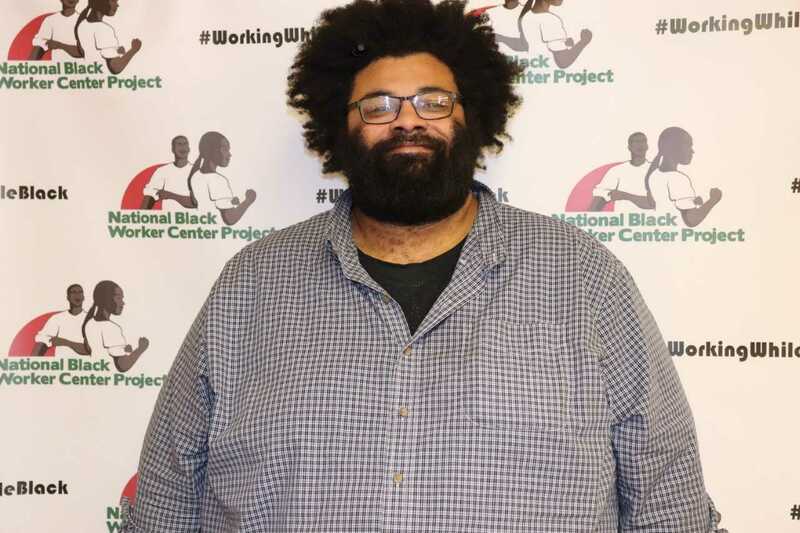 DeAngelo Bester has worked as both a community and labor organizer for nearly 15 years. He currently serves as the Executive Director for theWorkers Center For Racial Justice (WCRJ) in Chicago. DeAngelo has organized and helped developed a diverse set of leaders, from nurses in rural Wisconsin to public housing residents in New York. He has led local, state, and national organizing campaigns that advanced racial justice around issues such as educational equity, preservation and expansion of affordable housing, re-entry, and increasing access to living wage jobs for Black workers. In 2012 DeAngelo left his job of nearly six years with National People’s Action (NPA) to start the Workers Center For Racial Justice (WCRJ). In 2014, after just two and half years in existence, under DeAngelo’s leadership as Executive Director, the WCRJ achieved a major victory by getting statewide ‘Ban the Box’ legislation passed and signed into law that covers both public and private sectors employers. Reece Chenault has spent almost twelve years as a union and community organizer. He currently serves as National Coordinator for US Labor Against the War, an anti-war organization dedicated to changing the labor movement’s foreign policy from within. Reece has worked as a community organizer with ONE DC, a non-profit that seeks to exercise political strength to create and preserve racial and economic equity in the District; and served as a Member Strength Organizer for SEIU Local 500, where he worked with community allies and union members to create working relationships that could continue increasing the standard of living for Montgomery County Public Schools employees. Reece has also worked as a coordinator with the Restaurant Opportunities Center of New Orleans. Reece is currently completing his Bachelor’s Degree in Political Economy of Labor at the Empire State College. 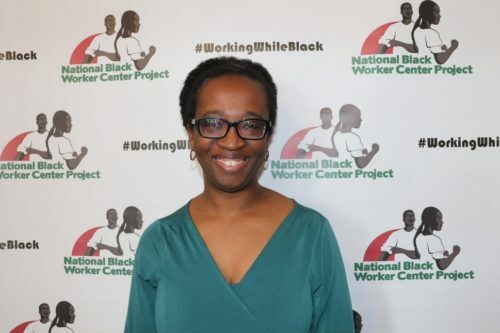 Sheri Davis-Faulkner is the Senior Program Director with the Center for Innovation in Worker Organization in the School of Management and Labor Relations at Rutgers University. She also co-directs the WILL Empower program, a joint initiative with the Kalmanovitz Initiative for Labor and the Working Poor at Georgetown University. A native Atlantan and interdisciplinary scholar-activist, Sherri completed her Doctorate in American Studies in the Graduate Institute of the Liberal Arts at Emory University. She also holds a M.A. in Women’s Studies from The Ohio State University and B.A. in Psychology and Political Science from Spelman College. Sherri previously served as the Director for the Westside Communities Alliance in the Ivan Allen College of Liberal Arts at Georgia Tech. Sheri has also worked with SEIU District 82, Justice for Janitors Campaign, as a Union Representative for university workers, and as a Grievance and Arbitrations Coordinator. She successfully led collective bargaining campaigns at George Washington University and Howard University and served as a Steering Committee member for DC Jobs with Justice. Sherri has also worked in South Africa with an international organization to end violence against women. She served on the planning committee for the UALE Northeast Summer School for Women in Unions and Worker Organizations, and has been a member of the Crunk Feminist Collective since 2009. Dorcas R. Gilmore is an attorney and consultant working on racial and economic equity, organizational development, and leadership development. Currently, she is a Visiting Practitioner in Residence in the Community & Economic Development Law Clinic at American University Washington College of Law. Dorcas is a co-founder of Baltimore Activating Solidarity Economies (BASE) and a principal of Gilmore Khandhar, LLC, a solidarity economies law firm. She worked previously as an Assistant General Counsel at the national NAACP and Skadden Fellow & Staff Attorney at Community Law Center in Baltimore, Maryland. Dorcas’ work is focused on racial, economic, and environmental justice issues at local, regional, and national levels. Dorcas was a Gilbert & Jaylee Mead Public Interest Scholar at the University of Maryland School of Law and graduate of Rollins College. Neneki currently serves as the Special Assistant to the Executive Vice President for the Public Services Division of SEIU, which represents more than 2 million workers in the U.S., Canada and Puerto Rico. In her current role, she is responsible for more than 300,000 public sector members of SEIU in her home state of California. Neneki leads SEIU programs across the state for SEIU members and all Californians that include Economic Justice, Racial Justice, Education Justice and Immigration Justice to name a few. In 2007, Neneki took on the role of the Public Services Division’s National Organizing Director. Under her leadership, SEIU Public Services has organized more than 70,000 workers into the union. Neneki also led the national effort to organize family childcare providers, and helped to secure collective bargaining rights for providers in Maryland, Pennsylvania, Washington and Oregon. Renaye Manley is a graduate of Indiana University and has an MBA from Western Governors University. She currently serves as an International Representative for the Service Employees International Union. In this position, she works with pension trustees, investment professionals and union leaders around the engagement of multi-billion dollar union and public pensions. Renaye was recently appointed to the board of the Harvard Trustee Leadership Forum; and has served on the Federal Reserve Bank of Chicago’s advisory board on Small Business, Agriculture and Labor, since 2013. Prior to her job at SEIU, Renaye worked for Interfaith Worker Justice, a community /labor collaboration, coordinating work with national unions and denominations on issues of workplace justice. She has also served as a Midwest field Representative for the AFL-CIO for a number of years, working in the Midwest on strategic union initiatives. Lanita Morris is a native resident of South Los Angeles, and has worked for social and economic change in LA’s Black community for many years. 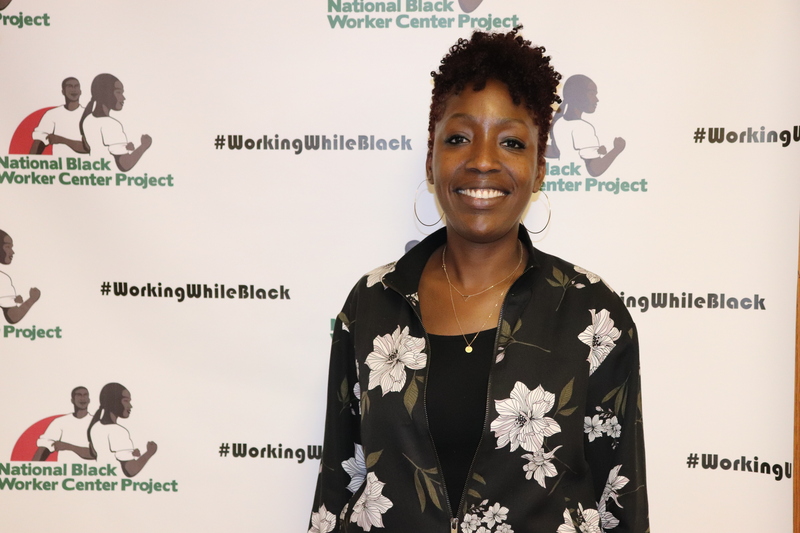 Lanita is one of the founding staff members of the Los Angeles Black Worker Center (LAWBC); and as their Project Manager, she coordinates the Center’s programs for worker organizing, leadership development, and community education. Lanita has also been a coordinator of the UCLA Labor Center’s African American Union Leadership School, the Western Regional Summer Institute for Union Women, and the Student Leadership Academy summer internship program. As a community activist, Roz Myers organizes around issues directly impacting the quality of life in the South Sacramento, including: the continued funding for the MLK Regional library, Regional Transit expansion of bus routes and ultimately light rail service to serve the Meadowview community and convened neighborhood meetings for the Delta Shores land development project of South Sacramento. 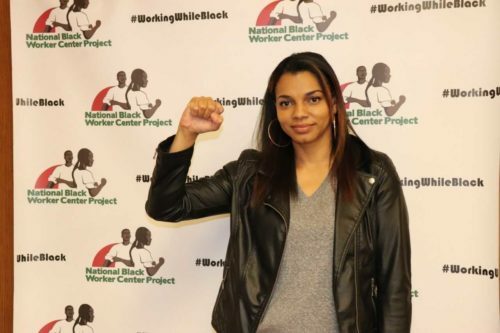 Roz is an original founding member of the Bay Area Black Worker Center organizing committee; a collective of labor, community and social justice activists who are organizing to support the “Black Workers Rising” and “Black Lives Matter” movements. 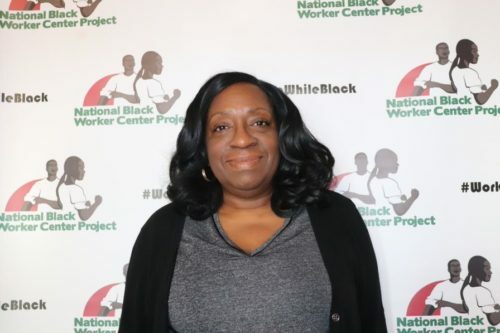 She works tirelessly to ensure that the discussion about Black workers, their families, and communities- in direct relationship to living wages and access to decent jobs- remains in the forefront of discussions and debate among policy makers on a local and national level. Roz served as a Worksite Steward under the California State Employees Association (CSEA), and currently serves under the Service Employees International Union (SEIU) Local 1000. As a job steward of SEIU Local 1000, Roz served as District Bargaining Unit Representative (DBUR) from 2005 to 2014, and as an alternate and Bargaining Unit Negotiating Council (BUNC) member to negotiate union contracts from from 2010 – 2016. Roz is currently the Vice President and Chief Steward of District Labor Council 767, Sacramento, CA. 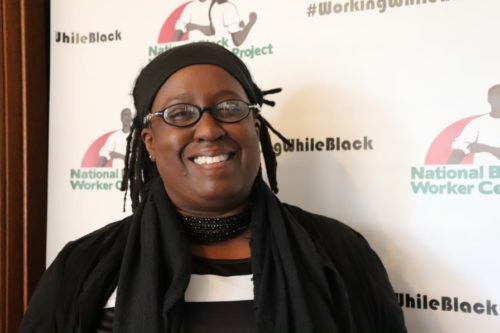 Jacqueline Patterson is the Director of the NAACP Environmental and Climate Justice Program; and since 2007, she has served as coordinator & co-founder of Women of Color United. Jacqui has worked as a researcher, program manager, coordinator, advocate and activist working on women‘s rights, violence against women, HIV&AIDS, racial justice, economic justice, and environmental and climate justice. Jacqui previously served as a Senior Women’s Rights Policy Analyst for ActionAid where she integrated a women’s rights lens for the issues of food rights, macroeconomics, and climate change, as well as the intersection of violence against women and HIV&AIDS. She has also served as Assistant Vice-President of HIV/AIDS Programs for IMA World Health, providing management and technical assistance to medical facilities and programs in 23 countries in Africa and the Caribbean. Jacqui holds a master’s degree in social work from the University of Maryland and a master’s degree in public health from Johns Hopkins University. Jacqui has served as the Outreach Project Associate for the Center on Budget and Policy Priorities, Research Coordinator for Johns Hopkins University, and as a U.S. Peace Corps Volunteer in Jamaica, West Indies. She currently serves on the International Committee of the US Social Forum, the Steering Committee for Interfaith Moral Action on Climate, Advisory Board for Center for Earth Ethics as well as on the Boards of Directors for the Institute of the Black World, Center for Story Based Strategy and the US Climate Action Network. 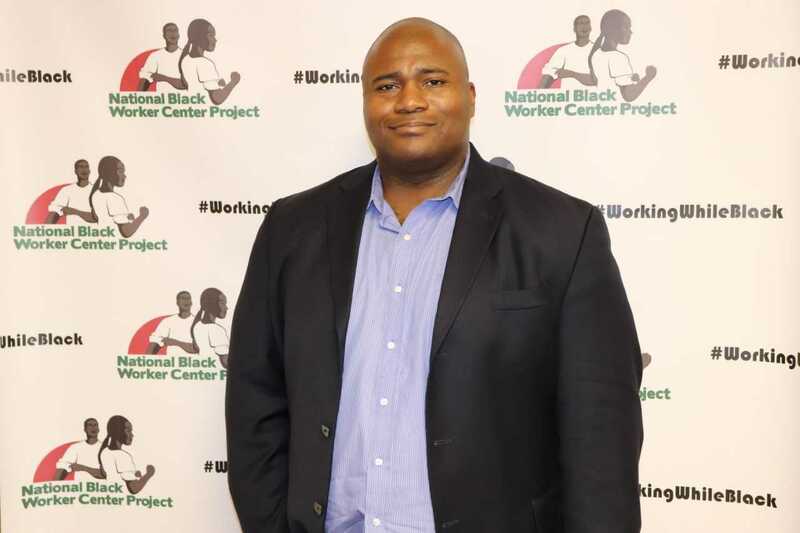 Steven Pitts is the Associate Chair of the University of California Berkeley Center for Labor Research and Education, where he develops projects focusing on addressing the Black job crisis. 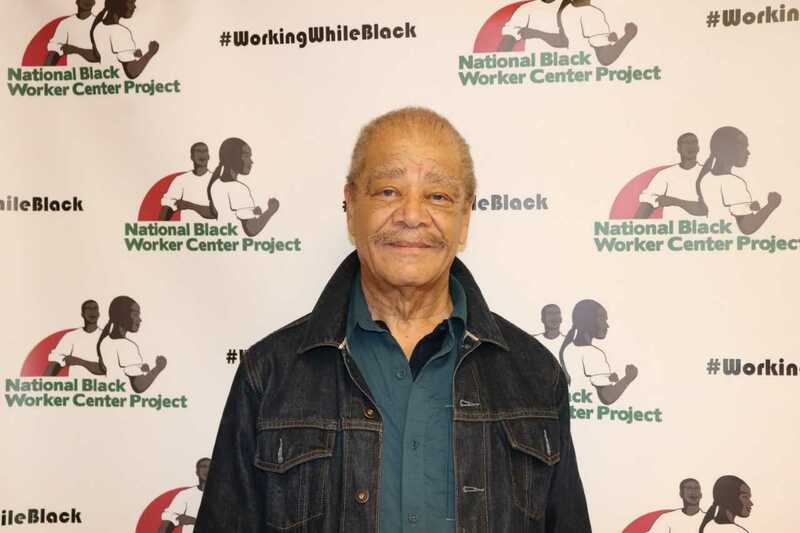 He has published reports on employment issues in the Black community, initiated a Black union leadership school, and shaped projects designed to build solidarity between Black and Latino immigrant workers. 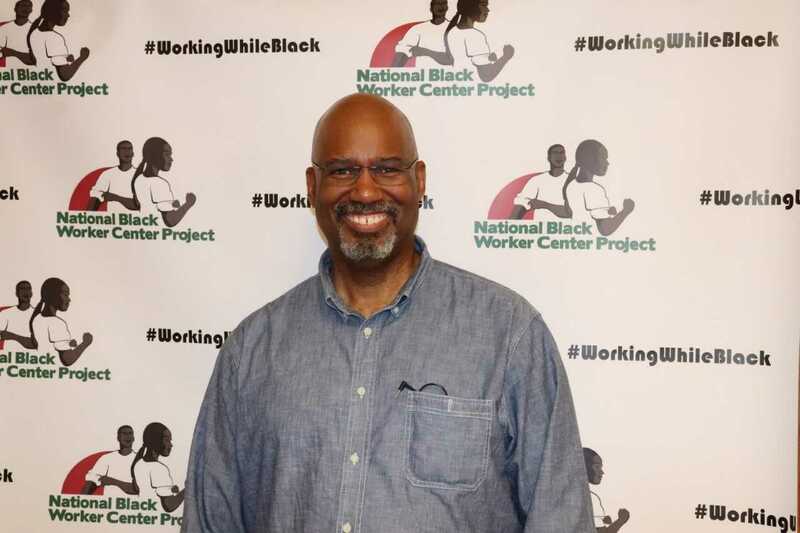 Steven is one of the co-founders of the National Black Worker Center Project, and currently serves as President of the NBWCP Board of Directors. 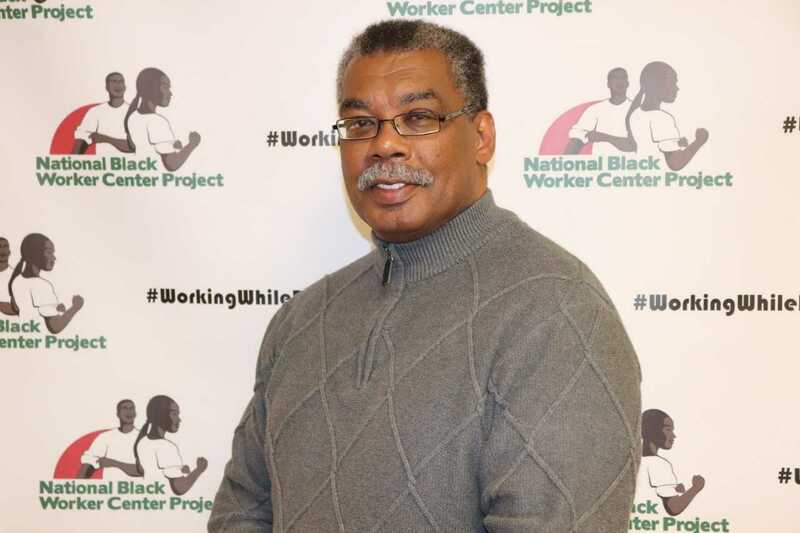 He is the author of numerous publications examining Black employment issues and has initiated a training school designed to develop leaders to bridge the gap between the labor movement and the Black community. Steven holds a Ph.D. in economics, with an emphasis on urban economics, from the University of Houston; a M.A. from the University of Houston; and a B.A. from Harvard University. Prior to his work with UC Berkeley, Steven taught economics at the Houston Community College and was an adjunct lecturer in the African American Studies Program at the University of Houston. William (Bill) Pritchett is the principal officer of W.A. Pritchett & Associates. His consulting services during the last 25 years have included racial justice, organizational equity, leadership development, executive coaching, strategic planning, and strategic communications. Some of Bill’s former and current clients include: The Congressional Black Caucus Institute; the Virgin Islands Democratic Party; the California Federation of Teachers; SEIU AFRAM; the Alliance for a Just Society; and the W.K. Kellogg Foundation’s Racial Justice Anchor Collaborative. In various staff leadership roles at SEIU, Bill helped advance racial justice throughout the union for more than 30 years. He created SEIU’s Organizational Equity Center, recruited and led the team that developed the union’s racial justice plan, facilitated racial justice workshops, and coordinated seven, year-long mentoring cohorts. Bill’s political and legislative work included helping to design and implement the Change that Works campaign in 2009—a multi-state campaign to generate constituent pressure on key members of Congress to support national healthcare reform, an economy that works for everyone, employee free choice, and immigration reform. Bill led the SEIU communications overhaul in 1997 that produced the mission, vision, core values, name, slogan, logo, signature purple color, and media coverage that helped promote and unite the international union and its 300 affiliates around universal images, messages, and strategies. Walter Riley grew up in Durham, North Carolina where he experienced first-hand the injustice of the Jim Crow south. His response was to become a young civil rights activist and has continued his activism ever since. Following years as an organizer, Walter moved back to the Bay Area to become a people’s lawyer. Walter is a member of multiple organizations including the NLG, and serves on the Boards of Global Exchange, Meiklejohn Civil Liberties Institute, Haiti Emergency Relief Fund, Berkeley Jazz School, and Co-Chair of the John George Democratic Club. Walter is a former Executive Board member of the NLG San Francisco Bay Area Chapter, and received the Chapter’s Champion of Justice Award in 2013. Walter serves on the legal defense teams representing fellow Law for the People Award recipients, the Black Friday 14 and Trayvon 2. Lola Smallwood Cuevas is a project director at the UCLA Labor Center and founding director of the LA Black Worker Center. 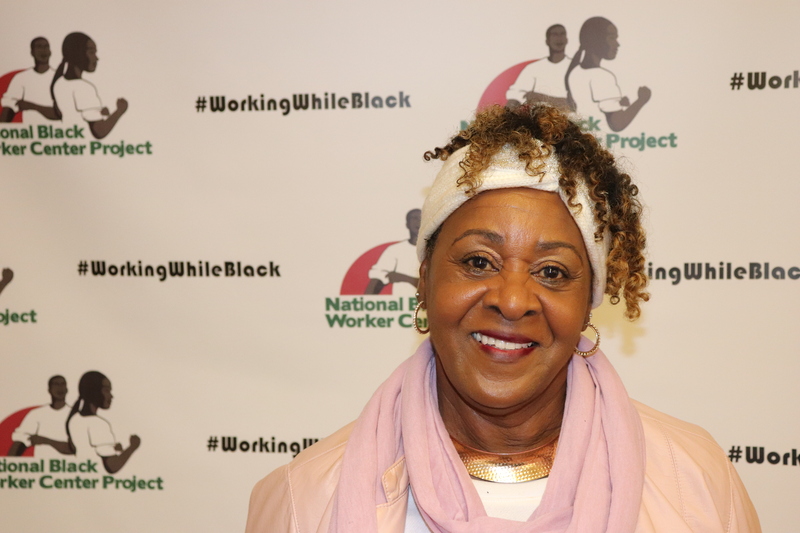 Her work at the Labor Center has focused on exploring the role of unions and African American workers in Los Angeles’s economy. Lola is co-editor of the UCLA Labor Center publication Women’s Work: Los Angeles Homecare Workers Revitalize the Labor Movement (2009) and co-author of “Common Cause,” a chapter on LA’s Black community and labor in the newly released UCLA Bunche Center publication Black Los Angeles: American Dreams and Racial Realities (NY University Press). She serves as commissioner on the Los Angeles County Workforce Investment Board; is a member of the 37th Congressional District Job and Economic Taskforce; and serves on the AFL_CIO National Worker Center Advisory Council. Before joining the UCLA Labor Center Lola worked as political and community coordinator for the SEIU’s national Stand for Security organizing campaign. She has a background in journalism, working as a daily beat reporter for the Chicago Tribune, Long Beach Press Telegram, and the Oakland Tribune. Maurice Weeks is the Campaign Coordinator for The Alliance of Californians for Community Empowerment (ACCE). He has organized community led campaigns in the areas of Education, Predatory Debt, and Housing Justice that expose the unaccountability of wealthy Wall Street businesses and individuals, and demand that they pay their fair share to Re-Fund California. In 2012 Maurice worked with student activists as they occupied their campuses, took over the capitol, and inspired their fellow classmates to rally behind the Millionaires Tax (later Proposition 30). More recently Maurice has helped shape a campaign to stimulate local economies by demanding big banks write down principal on mortgages and that they renegotiate predatory debt with California municipalities. In 2009 Maurice earned a bachelors degree in Sociology and Peace and Conflict Studies from Swarthmore College. Originally from Newark, NJ, he currently lives in Oakland, California.